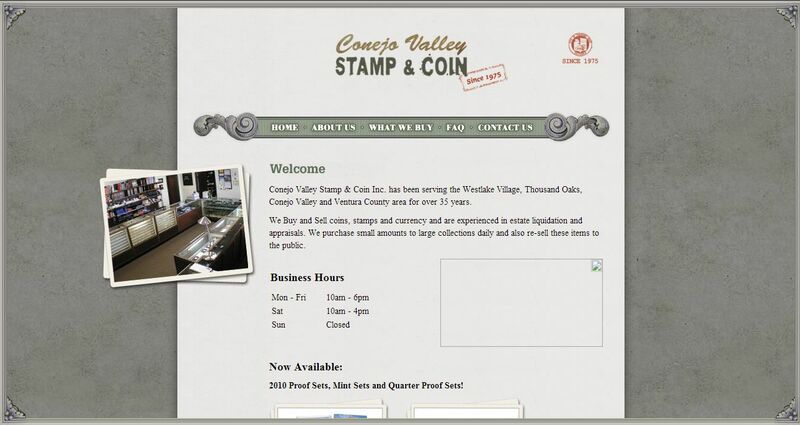 Conejo Valley Stamp and Coin Inc address, phone, website, hours of operation, and more. 35 years ago when Conejo Valley Stamp & Coin Inc. started, the collecting world was a different place. Most coin and stamp stores were mom and pop businesses run by retirees or the non-working spouse. That all changed in the 1970’s when the silver and gold business began to boom. Coin stores such as ours became the local spot to buy gold and silver for investment (or hedge). The banking industry in the United States did not involve themselves in this type of trading like their European counterparts. This abdication created a vacuum that was filled by coin dealers. This role is not unusual as many of the big European banking families (i.e. Rothschild’s) had begun as money changers or coin dealers in the 15th – 17th century. But with this role came great responsibility. It was necessary for local coin dealers to have the ability to perform for their customers. Some failed and there has been a large shakeout in our industry with a lot less stores than there were 30 years ago. Those that adapted to the new requirements have had great success and are now long established businesses. It takes 20-25 years to prove to your peers that you should receive credit in the industry. With the recent run up in prices, new players have come in to take advantage of the “action” that is currently going on. When the dust settles, most of these people will be gone!